Chiesi GmbH is one of the best employers. The Hamburg-based pharmaceutical company has been certified as “Top Employer” by the Top Employers Institute for the eighth time in a row. With this award, outstanding employers are honored annually for offering their employees excellent working conditions and development opportunities. “We are delighted about receiving the award as ‘Top Employer’ once more. The award is a result of our collective effort and a confirmation that we are on the right path. We offer our employees an attractive work environment, which enables them to thrive individually in the best possible way. A scope for development for everyone”, says Thomas Gauch, managing director of Chiesi GmbH. “As an innovative company, we support our employees in their learning and development process according to their ambitions and needs. Only by doing so, will we stay ‘Top Employer’“, director of human resources of Chiesi GmbH Corinna Sokoll adds. For more than 25 years, the Top Employers Institute has been certifying companies as outstanding employers worldwide. Meanwhile, the number of companies has grown to more than 1.300. The rating criteria include talent strategy, training and development programs, performance management, benefits as well as company culture. For further information about Chiesi GmbH as an employer please visit www.chiesi.de/en/working-at-chiesi. Get to know the award “Top Employer” via www.top-employers.com/de/companyprofiles/de/chiesi-gmbh/. 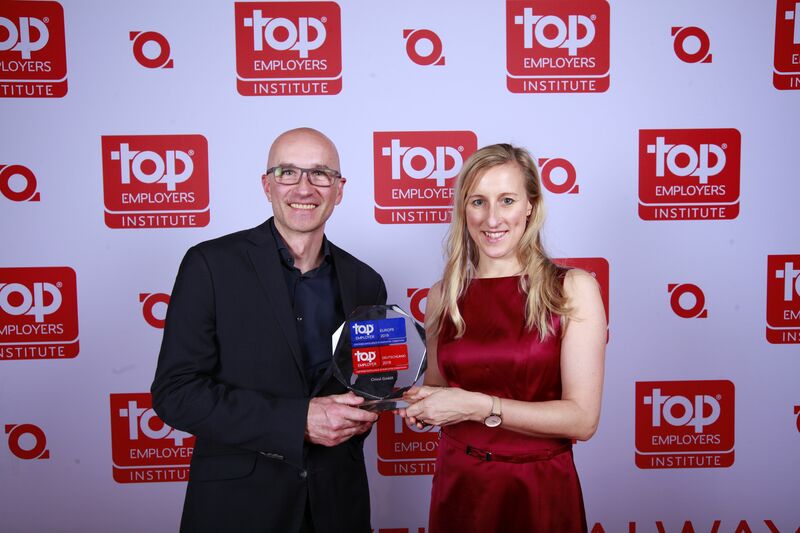 Image: L-R Gregor Scheminski, Senior HR Manager and Corinna Sokoll, Director of Human Resources Management, receive the "Top Employer" award.